In what has become an annual tradition, I have decided to embark in a third round of the 50 Movies Project. 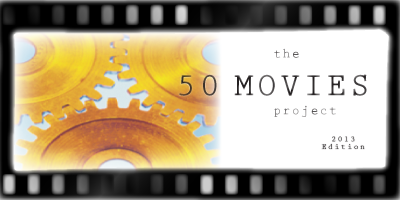 The premise is simple — I have put together a list of 50 movies that I feel I absolutely must see in order to continue my progression as a film lover. With so many films to see, it’s easy to get off track and forget about some of the essentials. This is my way of making sure I see those that have been on my “must see” list for too long. Reason for inclusion: Robert Altman is considered one of the greatest American directors, and I have never seen any of his work. I had a chance to go to Nashville once during college. An annual music industry event was held there, and a small group of students from my program took the trip. I couldn’t afford it at the time — go figure, a broke college student — but in hindsight I wish I had found a way to go. 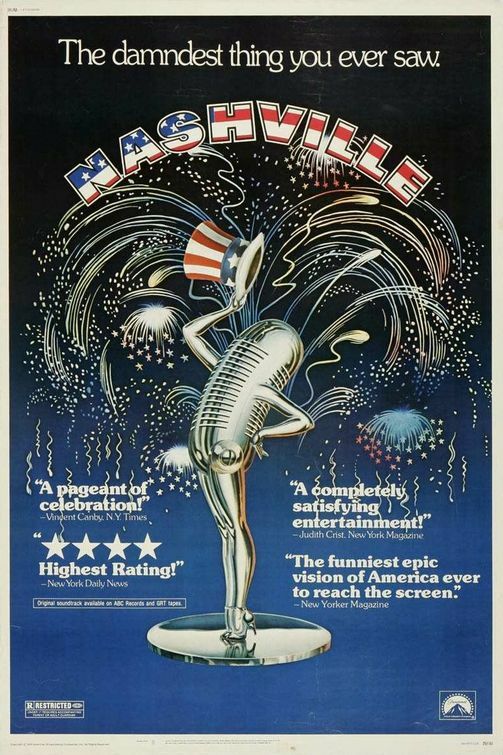 After watching Robert Altman’s Nashville, I am even more curious about the Tennessee capital, the country & western music headquarters of the world. Nashville, the film, is a massive ensemble piece that follows the lives of 24 characters during a five day period. It is in the heat of the Presidential race, and a new upstart party candidate, Hal Phillip Walker (who we never see on screen), is in town for an early political rally. We are there to witness the five days leading up to this event. There isn’t really a central story arc to Nashville; instead we are introduced to a variety of characters who are just living their own lives. They are a diverse group: there are musicians (both professional and wannabes), eccentrics (including a 3-wheel biker played by Jeff Goldblum), loners, businessmen, politicians. At first, since so many are introduced at once, it’s difficult to keep track of who’s who. However, many of them grow to be unforgettable. There’s Linnea Reese (Lily Tomlin), a gospel singer and wife of two deaf children. 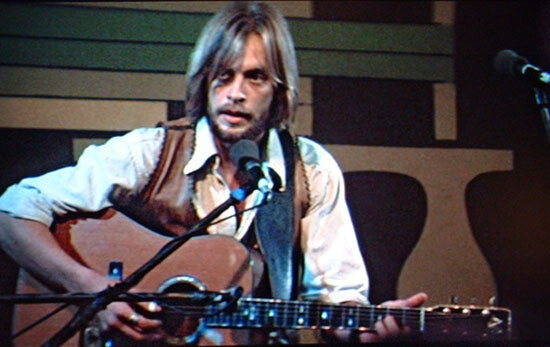 She also happens to be a target of lust by singer Tom Frank (Keith Carradine), he of folk group “Bill, Mary & Tom” fame. Bill (Allan Nicholls) is having marital problems with his wife, Mary (Cristina Raines), who herself is deeply in unreciprocated love with Tom. Also on the music front, there is Barbara Jean (Ronee Blakley), a wildly popular country singer who is recovering from a burn accident. Despite the best wishes of her husband, Barnett (Allen Garfield), she wants to return to performing immediately, perhaps exerting herself too hard in the process. Her top rival, Connie White (Karen Black), is also making the rounds in Nashville. On the other side of the spectrum, the bottom rungs of the town’s music scene, there is Sueleen Gay (Gwen Welles) a buxom red-haired woman who is sharp as a box of rocks and can’t sing worth a lick — but that doesn’t stop her from trying. Set in a popular music city, it’s no surprise that the film relies heavily on music. Nearly an hour of the running time is devoted to musical performances, and most of the songs were written and performed by the actors themselves. Some songs are better than others (Keith Carradine’s Oscar-winning “I’m Easy” is a true standout), but all are true to the country & western vibe. 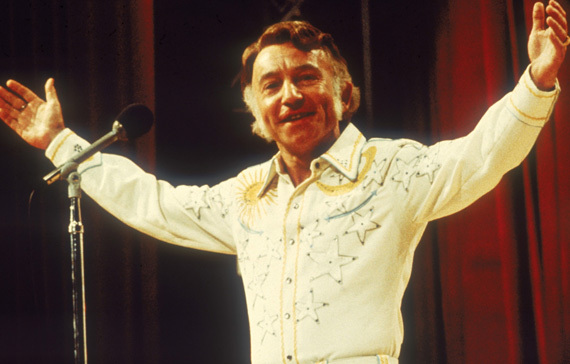 I generally loathe country music, but I rather enjoyed many of these on-screen performances, especially from the veteran singer Haven Hamilton (Henry Gibson). Now considered by many to be one of the great American films, the influence of Nashville is still felt today. I imagine that director Paul Thomas Anderson is a big Altman fan — without Nashville, we likely would have never received Boogie Nights or Magnolia. By all accounts, this is a film that likely warrants at least a second viewing, simply because there are so many characters that it’s impossible to catch every little reference the first time around. As it stands, I quite enjoyed this film, and I am excited to see more of Altman’s work. I’m always embarrassed to say I’ve never seen this film. I can definitely see Altman’s influence on Anderson in Magnolia (Anderson dedicated There Will Be Blood to Altman). Nice review. Thanks! I also read that Paul Thomas Anderson studied under Robert Altman, even acting as a standby director for Altman’s final film, so the connection there is strong. I can’t wait to see more of his work. I wanted to like this a lot more than what I did. I may give it another watch sometime. The music was great though! I was a little worried I wouldn’t get into this as much because I’m not a country music fan, but I actually really enjoyed most of the performances. Carradine’s performance of “I’m Easy” may very well be the best scene in the film. Yeah, Short Cuts is high on my to-see list. Heard nothing but great things about that. Thanks for the recommendation! I’ve only seen Gosford Park from Altman, which was excellent. Might give this one a look, and I’m also curious about Short Cuts. I think Short Cuts and Gosford Park will be my next two Altman films. Can’t wait to see more! Good review. I haven’t watched this one, but one day I have to make the time. Altman for me is hit or miss. But I give him great credit for being diverse. This is the same director that brought you “Popeye”. Thanks, Victor. Completely forgot that Altman directed Popeye. It’s going to be fun to go through his filmography, even the not-so-good stuff.